Bond is set at $2.5 million for agent Juan David Ortiz, who is charged with four counts of murder. “As law enforcement was looking for the killer … he would be reporting to work every day like normal,” Alaniz said. It all began with the discovery Sept. 4 of the body of 29-year-old Melissa Ramirez. According to a police affidavit released to the Laredo Morning Times, Ortiz said he killed Ramirez a day earlier. 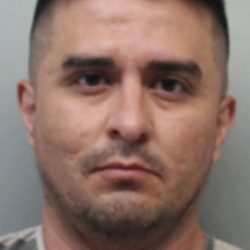 Like the other victims, Ramirez was shot in the head and left in a road in rural northwest Webb County. She was a mother of two. A second victim, 42-year-old Claudine Anne Luera, was found shot and left in the road Thursday, badly injured but still alive, according to the affidavit. The mother of five died at a hospital later that day. On Friday, according to the affidavit, Ortiz picked up a woman named Erika Pena. She told police she struggled with Ortiz inside his truck, where he pointed a pistol at her, but that she managed to flee. She made it to a gas station, where she found a state trooper and asked for help. Alaniz said the dead are believed to have been prostitutes and that one of them was a transgender woman. At least two were U.S. citizens; the nationalities of the others were not known, he said. He said investigators are still working to determine a motive. Ortiz was believed to have acted alone.